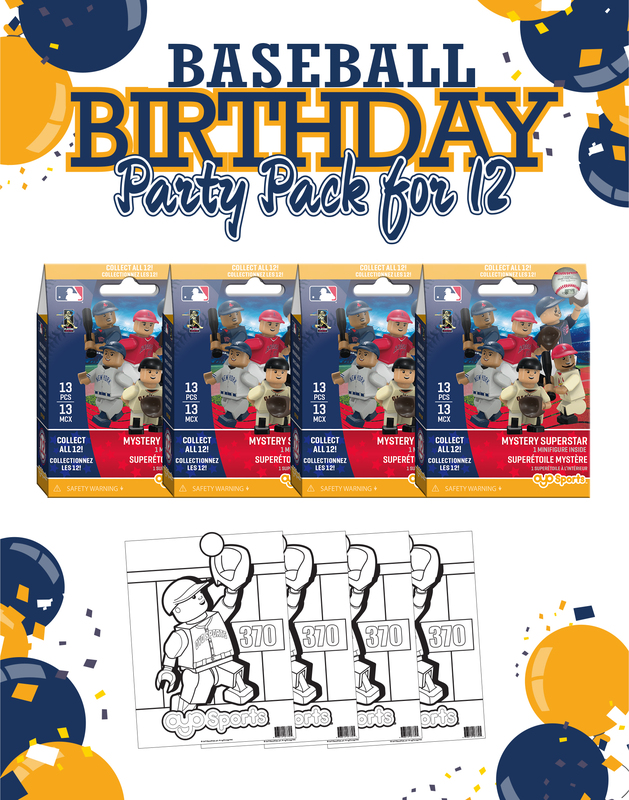 Our MLB Birthday Bundle 12 Pack provides the perfect theme for any baseball fan's birthday celebration and provides hours of entertainment for all birthday guests! 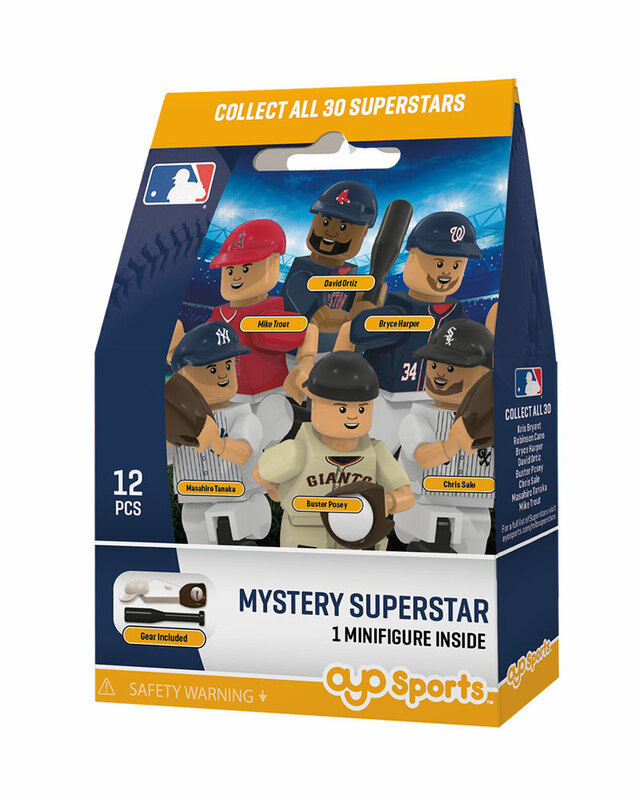 You'll get 12 MLB mystery minifigures that your party guests can build, trade and play with. You'll also get 24 baseball minifigure coloring pages to let their imaginations run wild. 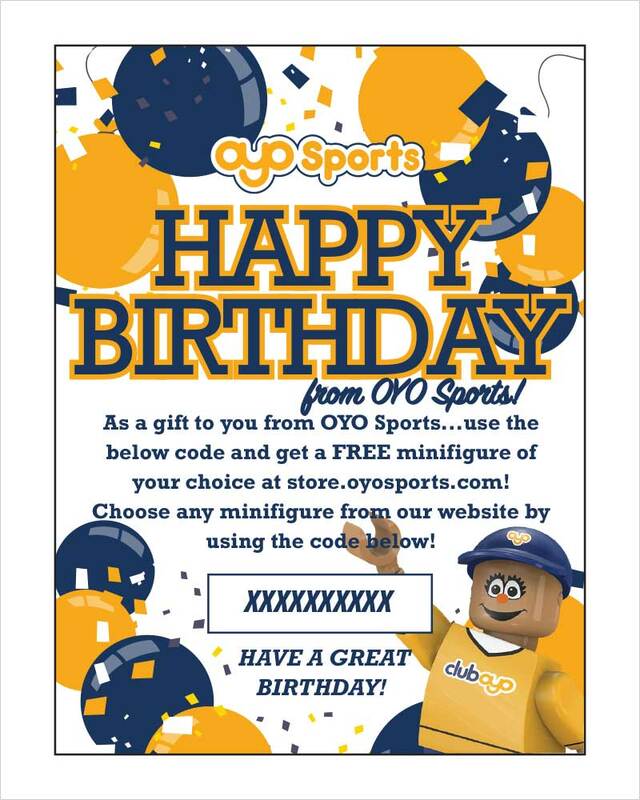 To top it off, the party pack includes a birthday card insert for a FREE minifigure of the birthday girl or boy's choice at oyosports.com. Make your next birthday party into a celebration they'll remember! And, it's under 50 bucks! 12 MLB mystery minifigure fun packs. Up to 30 team-specific minifigures available! 24 OYO Sports 'baseball player' coloring pages. Made in USA from globally sourced parts.